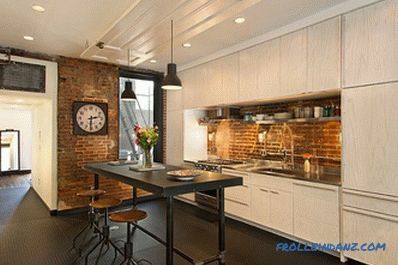 Gone are the days when old brick walls were carefully hidden under a more refined, modern finish. They are no longer considered ugliness. 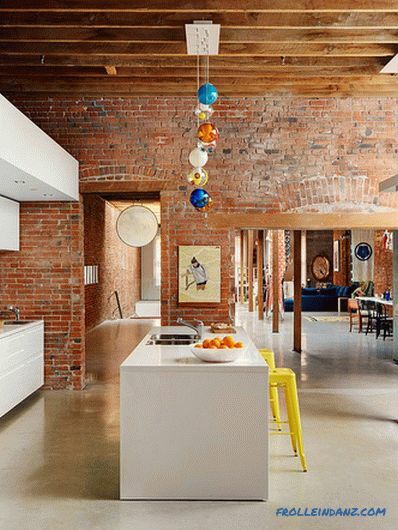 On the contrary, designers and homeowners seek to demonstrate the historical past of the house, exposing this intriguing textural element. 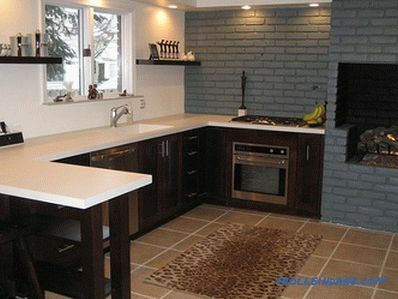 Despite the growing popularity of brick walls, the scope of their application is still limited. 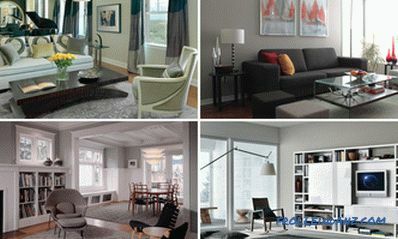 Most of us prefer to use them in bedrooms and living rooms, but not in kitchens. 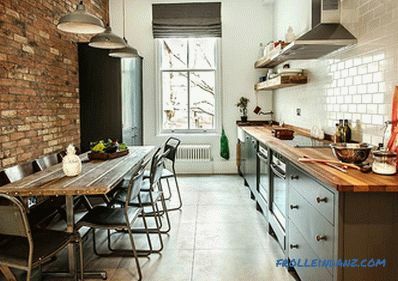 This is due to the popular belief that the brick walls in the interior of the kitchen, firstly, crumble and difficult to clean and, secondly, may be aesthetically "too heavy" for the kitchen. But you probably will soon change your mind! 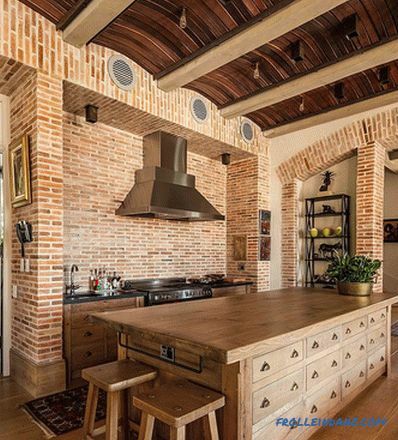 Brick walls create a cozy, welcoming atmosphere in the kitchen and offer a beautiful background that transforms various interior elements. They harmoniously fit into various styles. 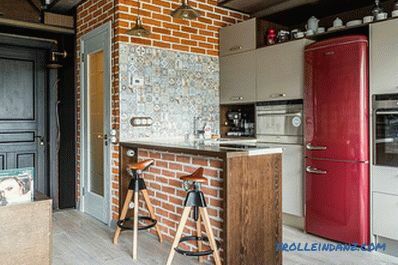 A few charming examples presented today to your attention will demonstrate how diverse and innovative you can use brick in your kitchen interior. Watch and enjoy. 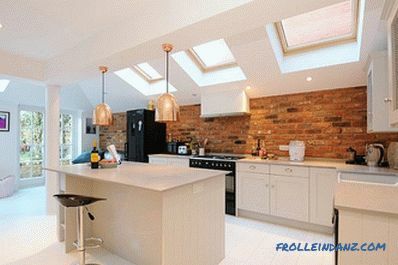 A look at a brick wall, as something that does not fit into the atmosphere of a modern kitchen, has long been outdated, as evidenced by many innovative designs that we meet daily. 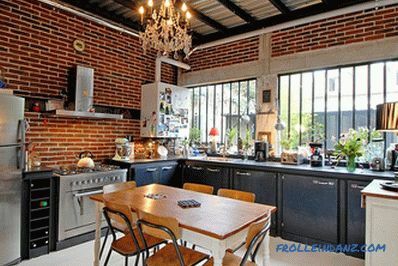 In fact, an open brick wall, on the contrary, looks great in a modern kitchen and becomes the center of attention there, because it defines the space and highlights its architectural features. 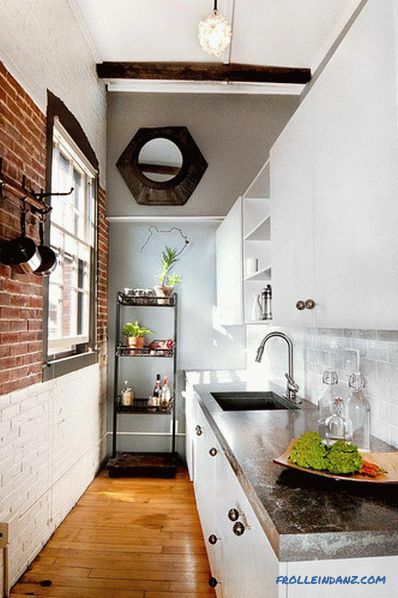 It can serve as a great accent complement, for example, a beautiful kitchen apron surrounded by tiles. 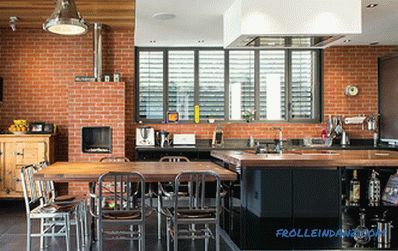 A spectacular and unique brick wall in the interior of a modern kitchen with the right approach will serve you for many years. 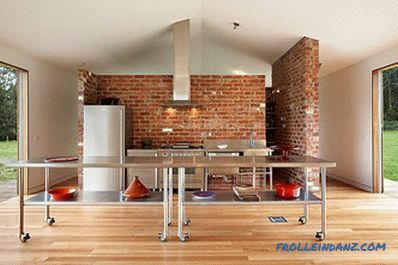 The innovative design of the island kitchen table dictates the idea of ​​an equally great dining area (from A rchitecture et bois ). 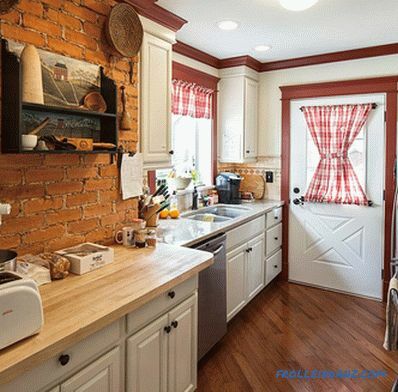 The brick wall next to the kitchen visually increases it (from Corynne Pless ). 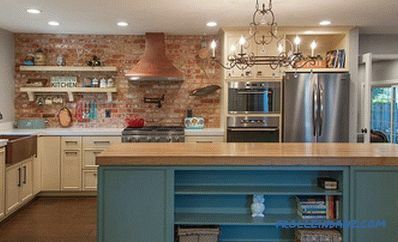 Magnificent gray cabinets and an island table in the kitchen with a beautiful brick wall (from Jamestown Estate Homes ). 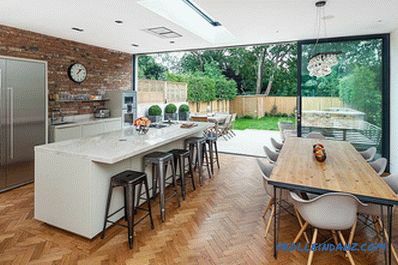 Chevron pattern on the floor and brick wall in the modern kitchen (from Concept 8 Architects ). 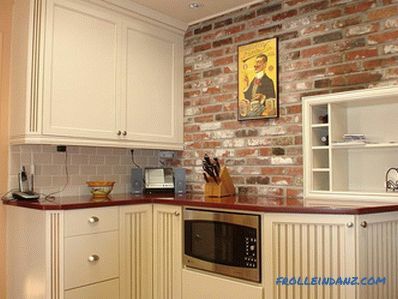 Decorative brick in the interior of a Scandinavian-style kitchen (from Affleck Property Services ). 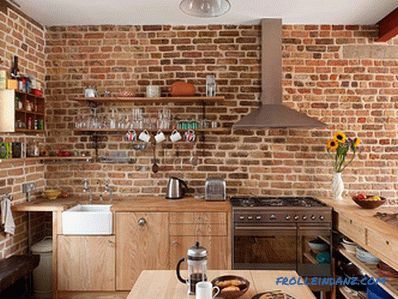 We mentioned that a brick wall is always relevant and fashionable. This seems like a strange statement, since everything timeless with the change of epochs often drops out of the list of popular ones. 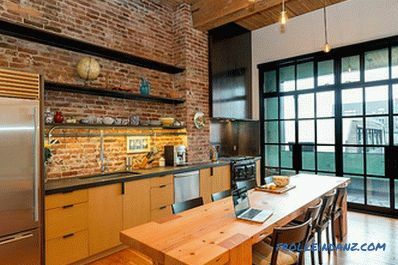 But the brick wall now falls into both categories, as it brings timeless charm and at the same time tops the list of designer trends! 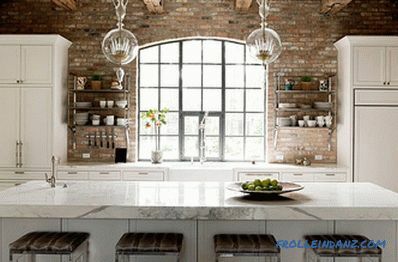 Part of the appeal of brick walls is associated with a new wave of popularity of kitchens in the industrial style and loft style. 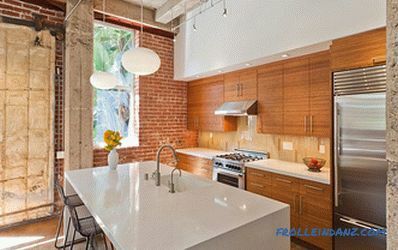 Homeowners, taking into account the practicality and rough aesthetics of brick walls, again fell in love with them. 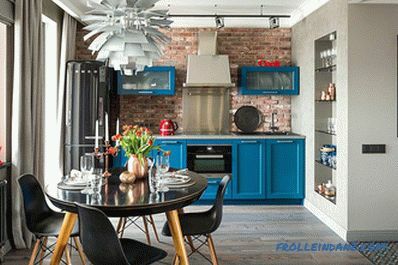 Beautiful blue cabinets and a bold black refrigerator enliven this kitchen in an industrial style. 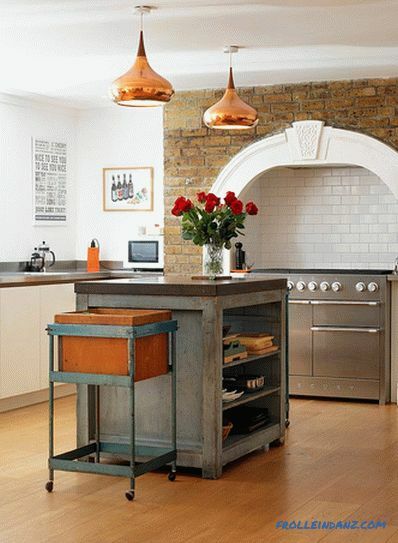 Modern London kitchen with brick walls and wooden furniture (from MDSX Contractors ). 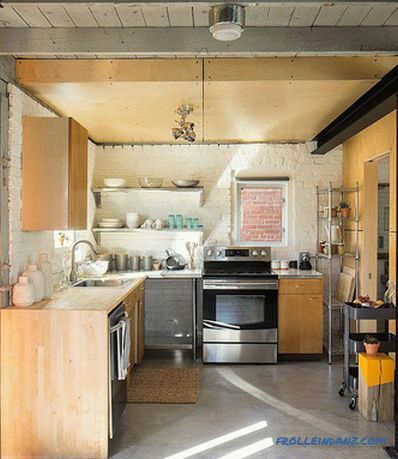 A suspended ceiling with a light source above it gives the impression that there is a roof window in this industrial kitchen (from Jane Kim Design ). 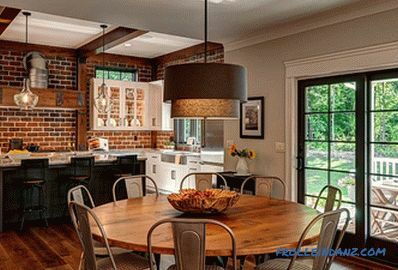 Awesome pendant lights and brick walls create the perfect combination of modern and industrial styles (from The Last Inch ). 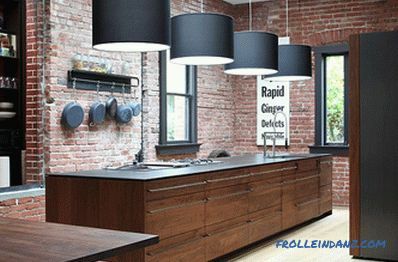 Well-designed lighting eclipses everything in this kitchen in Seattle (from Crescent Builds ). 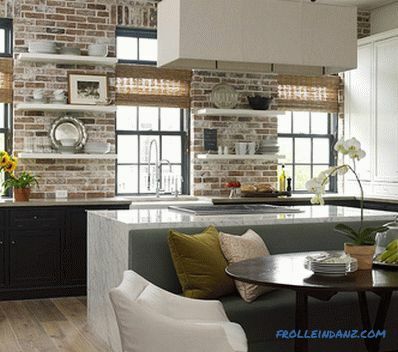 Open shelves, cabinets and island tables are an integral part of kitchen design, and the brick wall background should complement your choice in this direction. 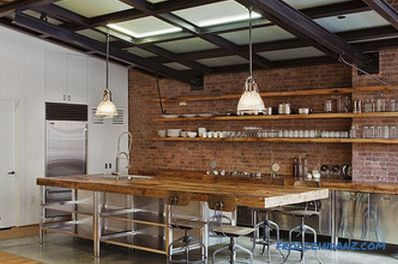 Shelving and other storage spaces in a brick-walled kitchen often define the interior and its atmosphere. 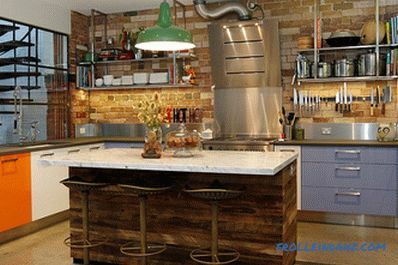 Open wooden shelves, durable wardrobes with vintage elements, metal accents and a central island table with stainless steel worktop suggest industrial style. 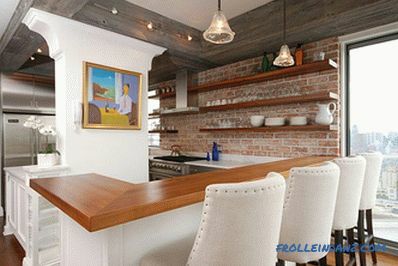 Kitchen with a tiny custom island table (from Rosenberg + Gibson Design ). 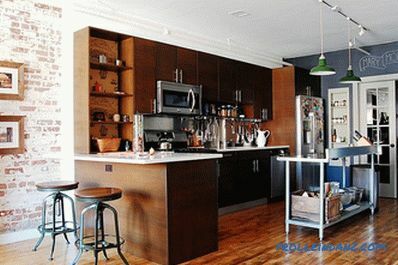 The kitchen island table hides enough storage space (from GooseNest Interior Design ). 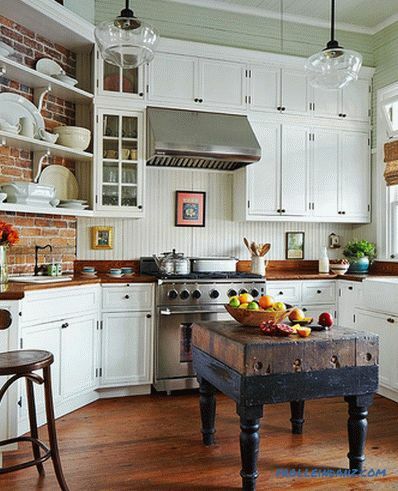 The kitchen of a country house with an antique shelf against a brick wall (from Handy Home Guys ). 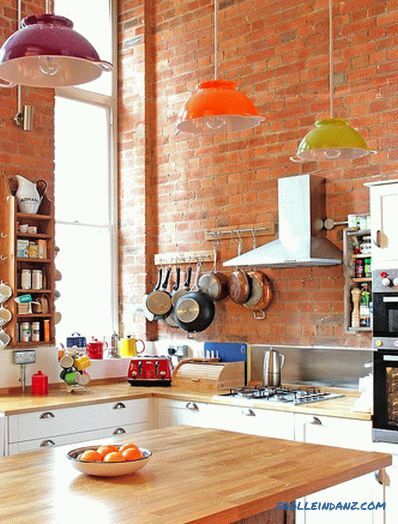 Interspersed with orange and purple enliven this modest kitchen (from The Kitchen Place ). 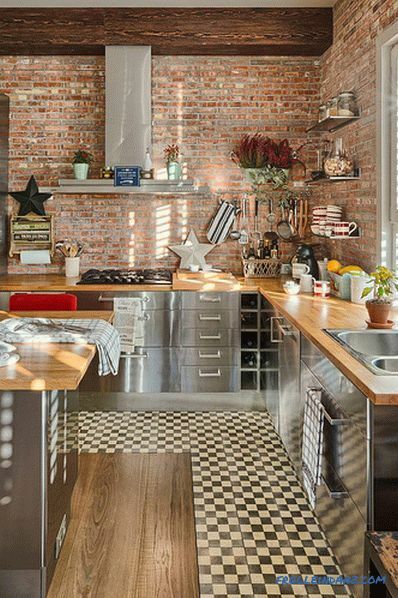 Tiles, bricks and handmade decor create a unique industrial-style kitchen (from Litvinov design ). 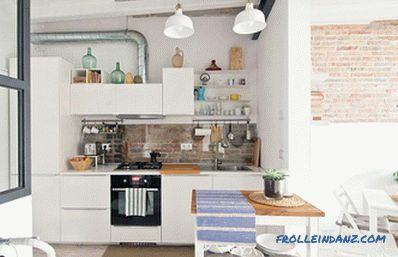 The unique kitchen of a country house with a touch of red, blue and white (from Maison Maison Interior ). 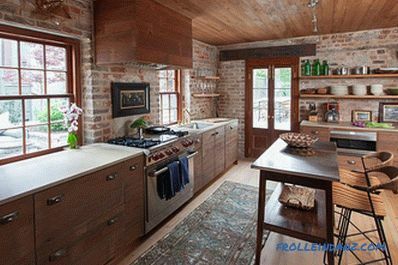 One of the important factors to consider before making a decision about the presence in your kitchen of old brick walls, is their physical integrity. 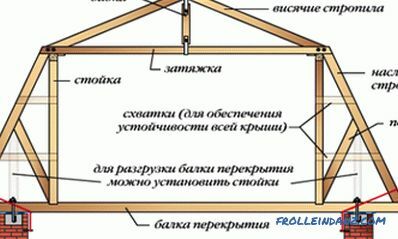 Some of them may not be able to support really heavy cabinets. 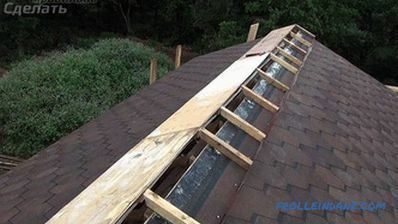 At the very beginning of a major overhaul of the kitchen, structural reinforcement may be required. 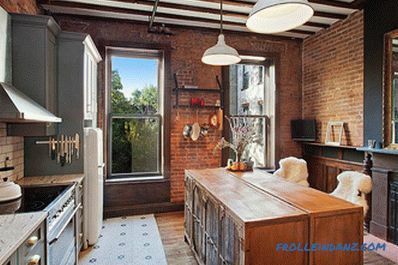 But if you are only concerned with aesthetics, then almost any style of cabinets looks great against the background of an open brick wall. 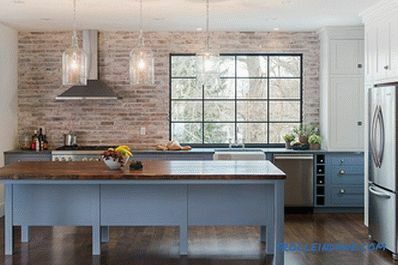 Using protective impregnation and special varnish is an obvious need for a brick wall in the kitchen, and depending on the appearance you want to achieve, it can create a matte or glossy surface. 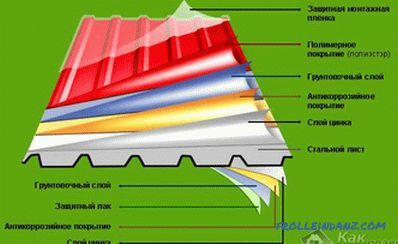 The treatment with impregnation and special varnishes facilitates the cleaning of the brick wall and, obviously, preserves its beauty and natural texture. 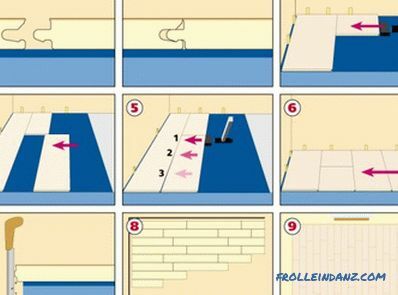 Another favorite design technique is the painting of a brick wall, which makes it possible to impose the color scheme of the room on the brick's saved texture. 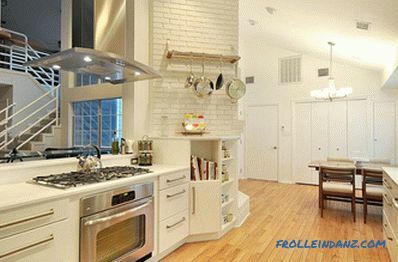 Gray color is very popular today, but white brick in the interior of the kitchen can be no less attractive. 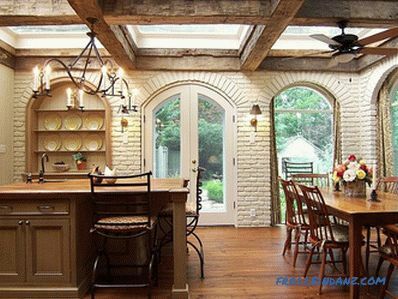 Arched doors and windows and brick walls give the traditional cuisine a Mediterranean atmosphere (from Brian Patterson Designs ). 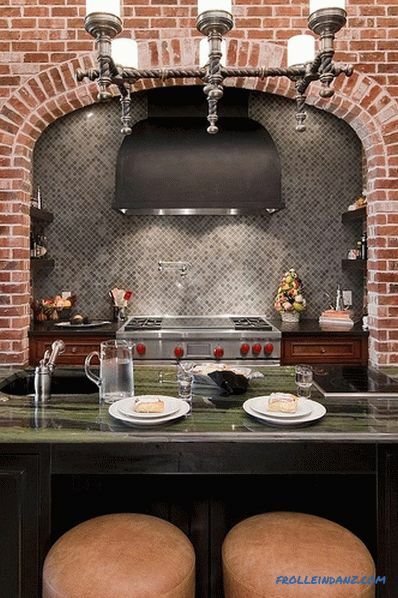 A great way to create different visual areas in a kitchen with brick walls (from Landing Design ). 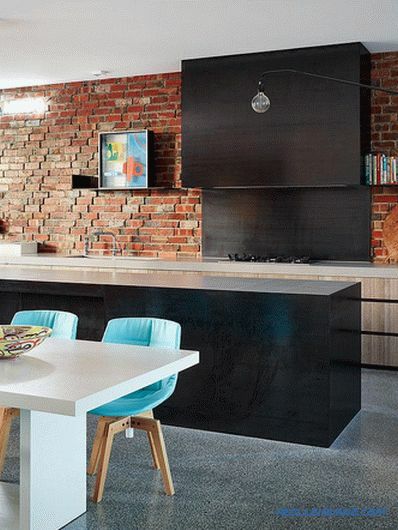 White-washed brick walls and colorful cabinets in a stylish, modern kitchen (from Aegis Interior Design ). 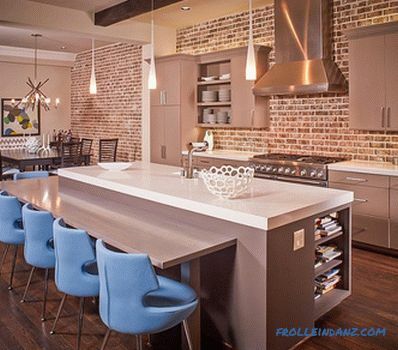 Concrete, Carrara marble and brick come together in this beautiful kitchen (from Kevin Spearman Design Group ). 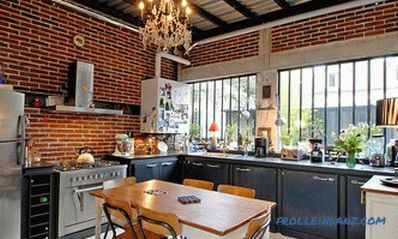 Industrial, modern and mixed styles are the most preferred in the kitchen with brick walls. 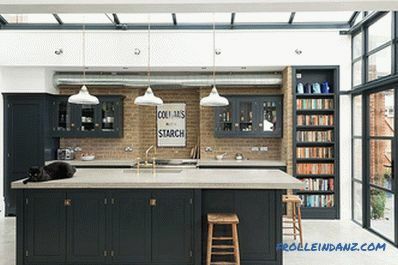 But let's go beyond the usual, and then we find that styles such as rustic, Mediterranean, vintage, Victorian and coastal are able to give the kitchen such an unexpected and unusual turn. 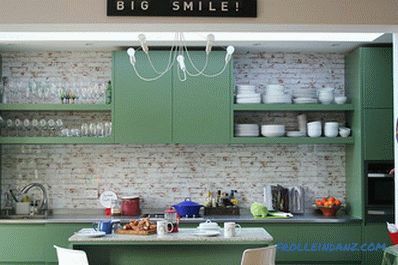 The kitchen is the heart and soul of every home, and if it is different in style from the rest of the rooms, pleasant changes in the atmosphere make the lovely family evenings into something special. 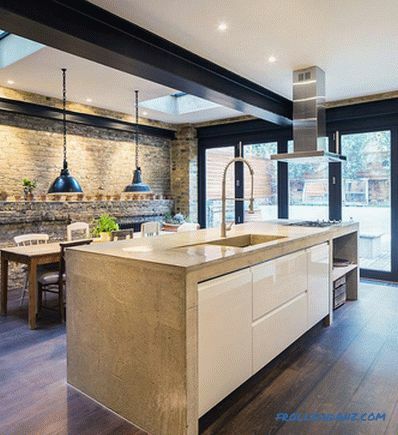 Orient P2 pendant lights add metallic shine to this Victorian-style kitchen (from Redesign London Limited ). 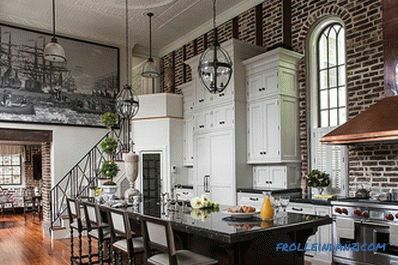 The kitchen and dining room turned into a whole (from Farinelli Construction / Andy Warren Photography ). 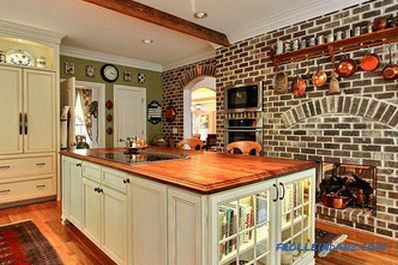 The color of the brick creates a beautiful traditional style in the kitchen (from Kitchen Design Gallery - Dean Sebastian ). 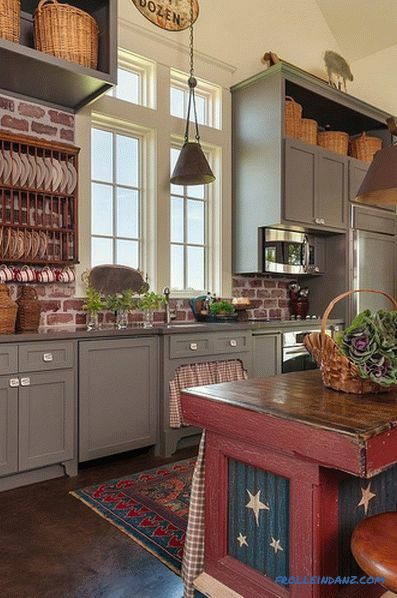 The bespoke island table and chairs add the old-world charm to this rustic kitchen (from Cameron Stewart Design ). 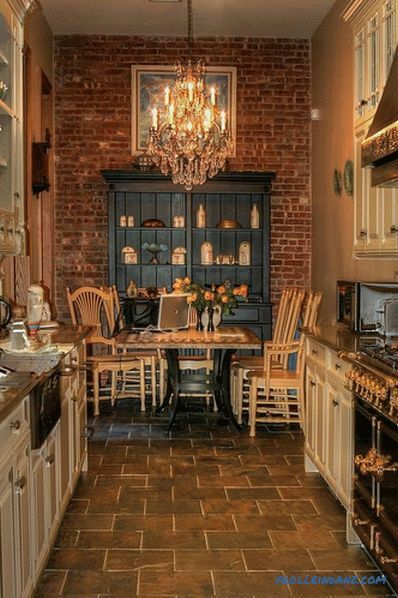 Stunning Victorian kitchen with a high ceiling and brick wall (from SLC Interiors ). 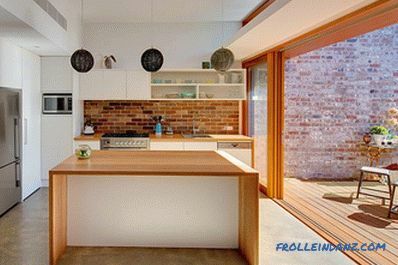 The apparent influence of the modern can be clearly seen even in the kitchens in traditional and rustic styles, since most of us have adapted to the visual perception of rooms with clean, straight lines and well-thought-out ergonomics. And sometimes it is this cover of modernity that creates a unique fusion of past and present, which is enhanced by the background of an exquisite brick wall.